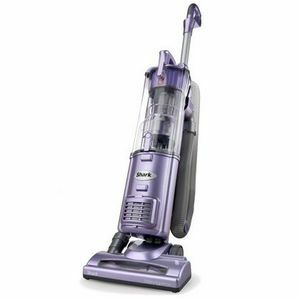 I bought this vacuum and I loved it my carpets looked brand new and it was instantly full picking up everything my old vacuum missed! I loved how easy it was to clean and all the attachments that came with it! The only problem I had was everything on it kept breaking but shark was very helping and sent out replacement parts which was awesome! All in all it was a great vacuum and I actually bought another! Easy to quickly pull out for messes with children! I use my Shark everyday twice a day. I have 5 kids ages range from 10-3, a dog and my kids and dog are constantly in and out of the house tracking in dirt, grass you name it. But this vacuum picks up everything, my 10 and 9 year old can use it with no problem, easy to use, and lightweight. 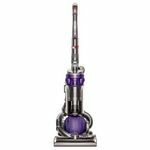 This vacuum has great suction and it detaches easily, is light and is easy to use. It is very versatile and can be used on many surfaces and in many spaces. My complaint is that it gets blocked easily and then we have to take it apart and unplug whatever got stuck. It can get irritating. Other than that, the vacuum is great. I've had this vacuum for about a year and half and it has never let me down. The attachments make cleaning under furniture easy and the way it swivels is amazing. I'll never go back to another brand again. I bought this vacuume cleaner about 5 years ago to replace an old one that finally died. I absolutely love my shark, to be honestly never though I'd have it thins long. It is very easy to clean, most of the parts come apart and are able to be washed in a sink, you just have to be careful with the two filters and pay attention to how they are looking after each wash. I usually replace mine every year just to be on the safe side. The HEPA filter I can get away with replacing about every year and a half. The only other odd part that I had to replace was a hose piece that connects the dirt container to the head of the vacuume, it cracked after 3 years of use. I buy most of my parts directly off the shark website. I do have to clean out the brush roller quite often. It seems to gather every little piece of hair or fur all and instead of sucking it up, it attaches to the roller. On the plus side, even when the brush is full, the suction isn't affected. I have never had an issue with reduced suction unless the canister is full, since it's simple to empty it's not a big hassle to stop for a few seconds to pop the container off. After several years of use, one of the clips that hold the container on the body, no longer clicks into place, so I have to put a limitless piece of tape on it, not really a big deal to me, again the vacuume is 5 years old. Overall, I have no really complaints, it does advertise it can be used on hardwood flood and tile, I've never really tried it, it has an option to turn the roller brush off when using it on hardwood, so that it doesn't fling dirt everywhere. 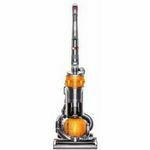 I would recommend this vacuume to anyone who is looking, it's a decent little vacuume that has lasted quite a long while, and at the fraction of a cost for a dyson, which has a pretty nice price tag. With the holiday's right around the corner, and a need to clean my carpets for guests, I found my loyal vacuum decided to burn out after a year or two of dedicated and frequent use. So I braved the holiday crowds to get a new one and found the Shark Navigator Bagless Vacuum. I own another Shark cleaner and have had no problems out of it, so I figured it was a good brand. The normal retail price is 89.99 but I managed to get it for half that due to gift card someone gave me to the retailer where I purchased it. I hadn't expected it to have a pet power brush when I was looking at the box but it was an instant buy when I saw it did. I have 6 dogs that are in the certain parts of the house and a pet brush is a necessity even though they don't shed very much. The pet brush does a brilliant job of getting hair off the most stubborn places. There's a long handle so I can clean the corners of the room and get into the hard to reach places. The only thing I don't clean with this is my linoleum, laminate, and hardwood floors. Maneuverability This is probably one of the easiest to maneuver vacuums I've ever seen. Suction Performance There's nothing special about the suction power. It does it's job and that's what I wanted. Versatility With the pet brushes and the long hose, I've used this for multiple jobs. Design I have no complaints about the design. Everything is nice. Durability I'm using this vacuum frequently and have had no problems with it. I got this vacuum about 2 1/2 years ago, and I absolutely love it. It has two different settings, one is for the carpet and one is for tile and wood floors. It picks up dirt off of my carpet, wood and tile floors perfectly. 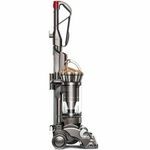 It also comes with attachments that you can use for pet cleaning and to get in other spots that you can't really run a vacuum on. I use my attachments when I need to vacuum the couch, under the cushions. The only thing that you will need to do is, you do have to empty out the container that collects all of the dirt after you vacuum each time. This helps from it getting clogged up and not working properly. I also take the sponge filters out every month to clean those as well. It is very easy to do, all you have to do is rinse them out with water and air dry, and then just put them back in. I will never buy another brand vacuum. My sister wanted the Dyson vacuum, and I talked her into getting a shark vacuum and she loves hers as well. It is cheaper than the Dyson, and does an excellent job. 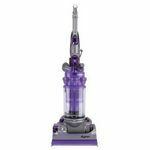 I would highly recommend this brand and product to anyone that needs or wants a new vacuum.